Alongside with (1) smart reverse-engineering, (2) virtualization, (3) Statement-driven-development, Transient definition is a productivity tool and technic that fasten your development. This article presents you transient definition and how it will help developing ad-hoc UCs in the case of Openxava. 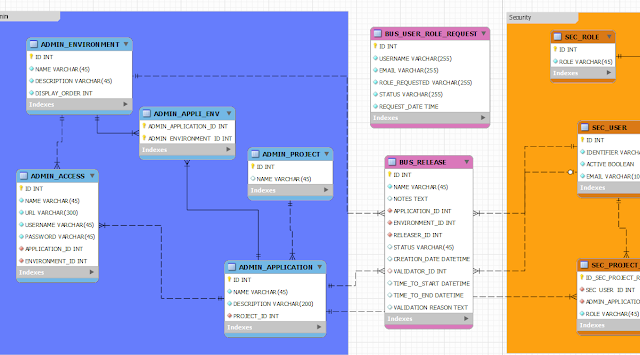 Ad-hoc means that there is no direct binding necessary between your screen info and your database entities. Your model persistence is not enough to define all your data or you want to model the data differently than in the current model perspective. In short you have a UC that is not purely data centric? You know the Input of a UC and a function to be performed. 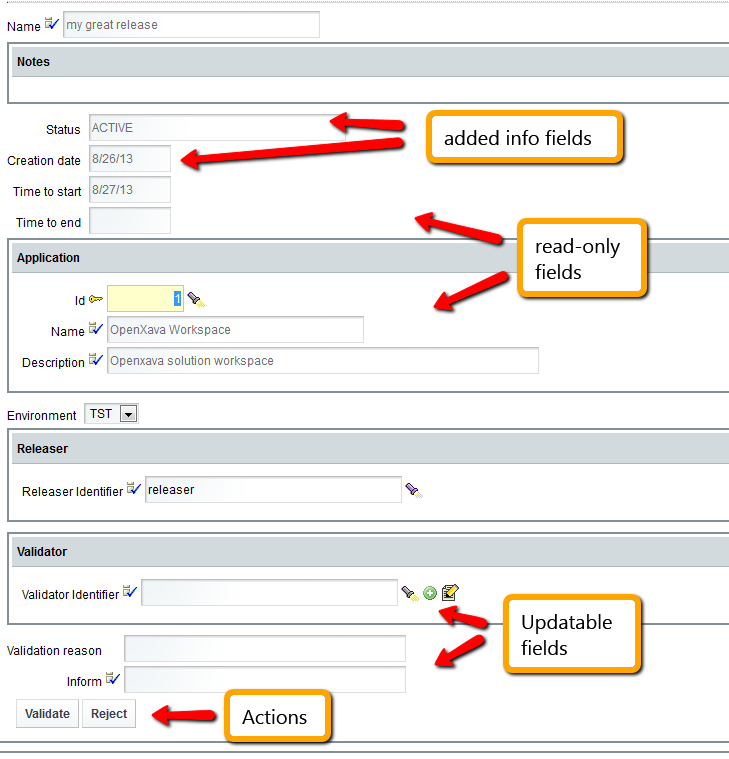 The input does not have to match to field or entities in your DB. It may but it is not a requirement. 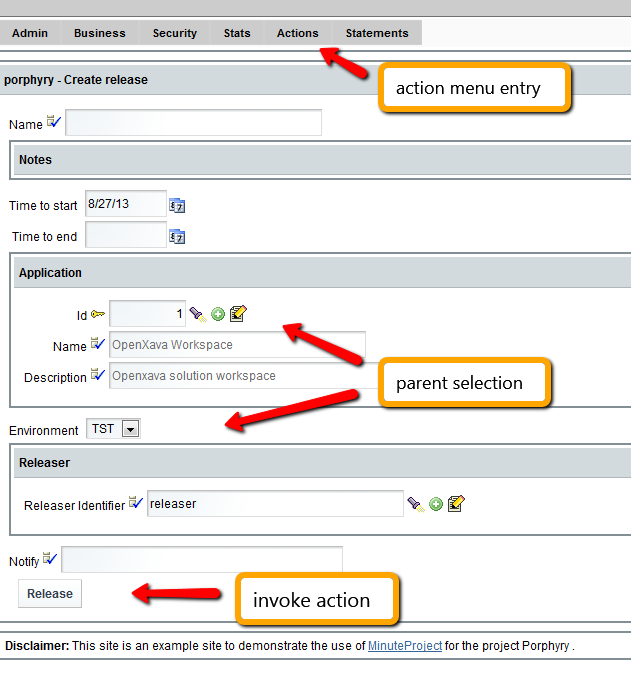 You have a model that store Release information of an application. 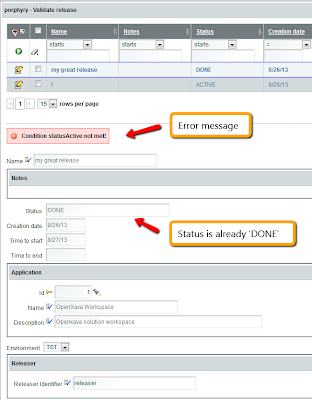 The release is linked to an application and environment. It has a releaser (the person issuing the release) and a validator (validating the release). 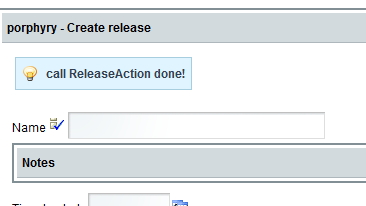 Release status can be ACTIVE, DONE, REJECTED. 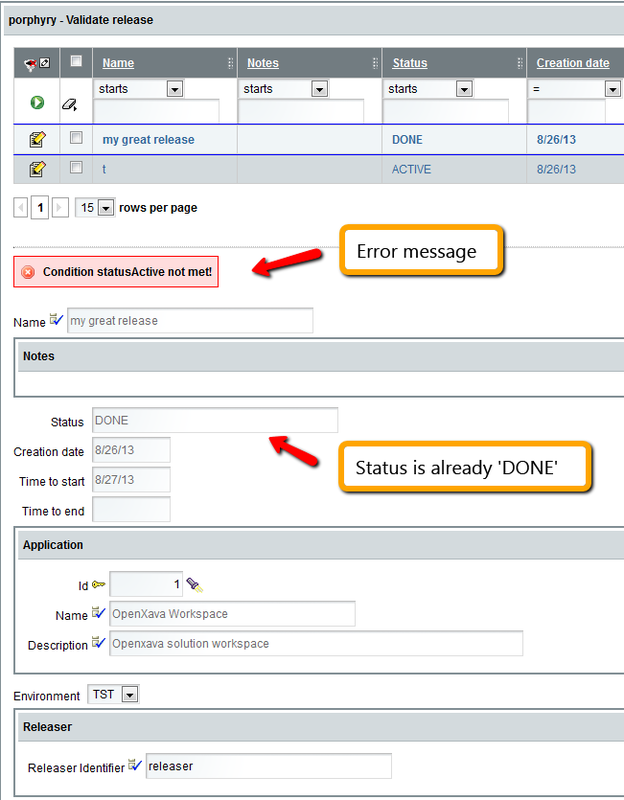 A creation date is automatically created when inserting a release. 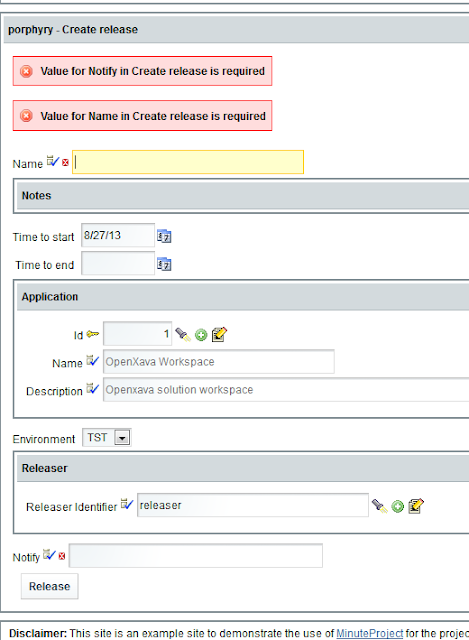 enter name, notes, time to start, time to end the release. 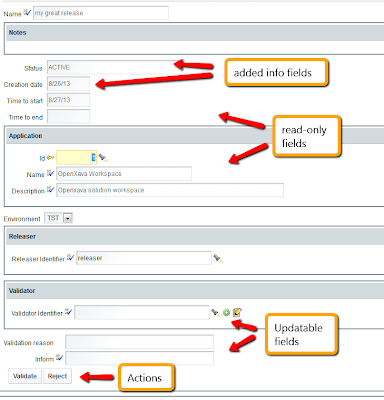 Provide validator user access to view all the releases, select one fill extra info and validate or reject it. //       "name asc // "
Minuteproject abstract this effort by providing tooling to the analyst to describe those screens and actions that ultimately and implicitly become a flow. <entity name="create release" is-transfer-entity="true" is-searchable="false"
Minuteproject provides transient definition facilities & generation capabilities. Although the screens and actions are not very complex, minuteproject can induce a flow, and without a workflow engine!